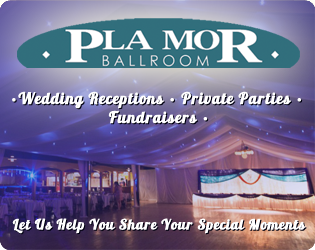 The Pla Mor Ballroom is not only a beautiful venue for your special event but can also save you hundreds even thousands of dollars in comparison. 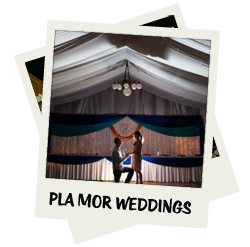 Call or email the General Manager Mike Ruth, with over 20 years of experience with events let the Pla Mor Ballroom help make your day so much more special! Their music bridges the generations from the 1930’s to the present: swing, tangos, smabas, waltzes, show tunes and a bit of rock. 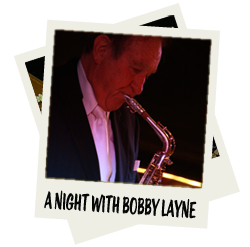 For dancers and listeners alike, the Bobby Layne Orchestra delivers an entertainment experience you wont’ forget. See the Events Schedule and make plans to see their show! 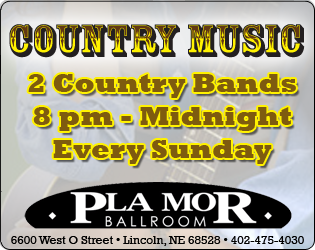 A Lincoln hot spot since 1929, every Sunday night for 24 years 2 bands and a huge number of dancers fill the 4,000 square foot ballroom’s dance floor. 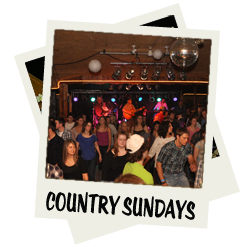 With over a half million admissions on Country Night alone, you can count on a vibrant Sunday evening of dancing with the areas best live country music. Learn to Dance for that special event or for just a good time. Learn Country Line Dancing and Ballroom Dancing. 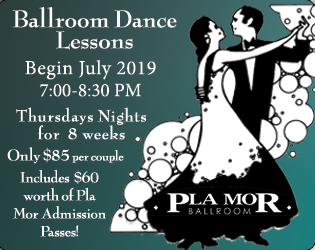 The Pla Mor creates a comfortable environment for all ages to come learn the fundamentals and basic principles of dance with family and friends. As every event is unique, we create customized banquets, receptions, company meetings, and caterings. 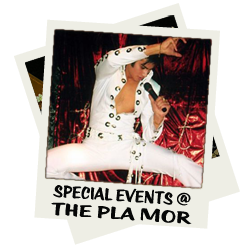 The Pla Mor has been serving Lincoln since 1929, offering a memorable location for our guests and historic elegance in Lincoln and is equipped with numerous amenities. 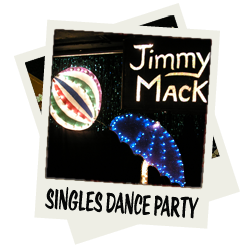 Every first Friday of the Month come down for some fun at our Singles Dance Party, Featuring Jimmy Mack! Couples are Always Welcome! Have two left feet? Be there early for our FREE DANCE LESSONS! The Singles Dance Party is sponsored by the S.D.C. 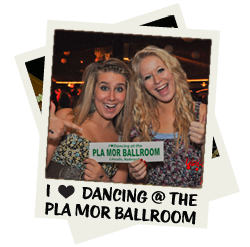 For over 85 years, the Pla Mor Ballroom has entertained Lincoln and the surrounding communities with a wide veriety of events. 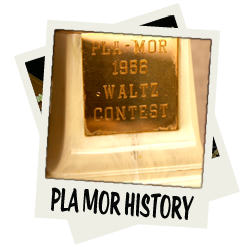 Check out our Historical Photo Gallery to see fun items and bands from our past!